Fabinho is eager to move to Manchester United in the summer, and is prepared to force his way out the Monaco exit door to do so, according to reports. Jose Mourinho will be in the market for a defender and a midfielder in the summer, and Fabinho is capable of playing in both positions. The Brazilian has been on United’s radar for a while now, but a move collapsed last summer due to the mass exodus at Monaco, which saw the likes of Kylian Mbappe, Tiemoue Bakayoko, Bernardo Silva and Benjamin Mendy all leave the club for new pastures. The Ligue 1 giants were determined not to let all of their stars leave, and decided to hold on to him a while longer. 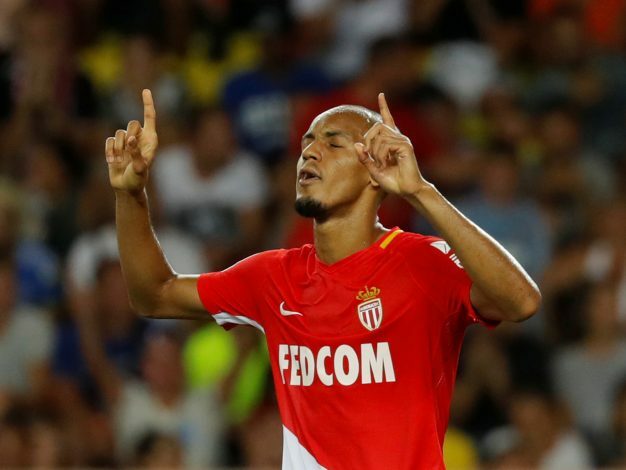 However, according to The Sun, Fabinho is now eager to leave at all costs, and is willing to push for the move to Old Trafford to go through. Monaco rate the 24-year-old somewhere in the region of £55 million, which Man Utd would be ready to pay, as they seek to match the massive investment City made in the market last summer to repair their ageing defense – a fix that has transformed them into an untouchable machine in the league this season. With Michael Carrick set to retire and Marouane Fellaini likely to leave on a free transfer, Fabinho could come in as a defensive midfielder, and be paired alongside Nemanja Matic and Paul Pogba in the middle of the pitch. He could also be used at right-back to replace the 32-year-old Antonio Valencia, who has no competition for his place in the side at the moment due to the struggles of the out-of-favor Matteo Darmian. The Red Devils have been linked with a host of other defenders such as Toby Alderweireld, Kalidou Koulibaly, Samuel Umtiti and Alex Sandro, so it is likely that Fabinho will be brought in to take a place in defensive midfield.